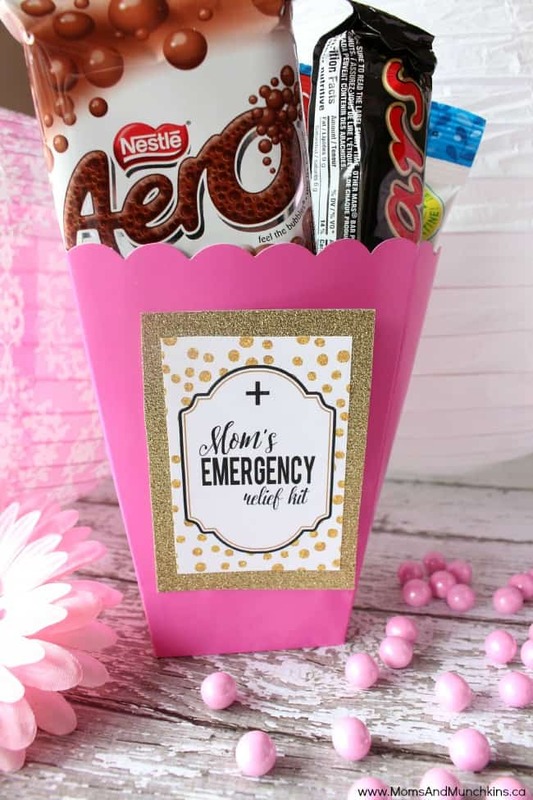 Mom’s Emergency Relief Kit – Chocolate! If you had an emergency relief kit just for you, what would you put in it? I’m not talking about the practical canned foods, water, flashlights, etc. What I mean is an emergency relief kit for you when you’re having a rough day and in need of some quiet time. 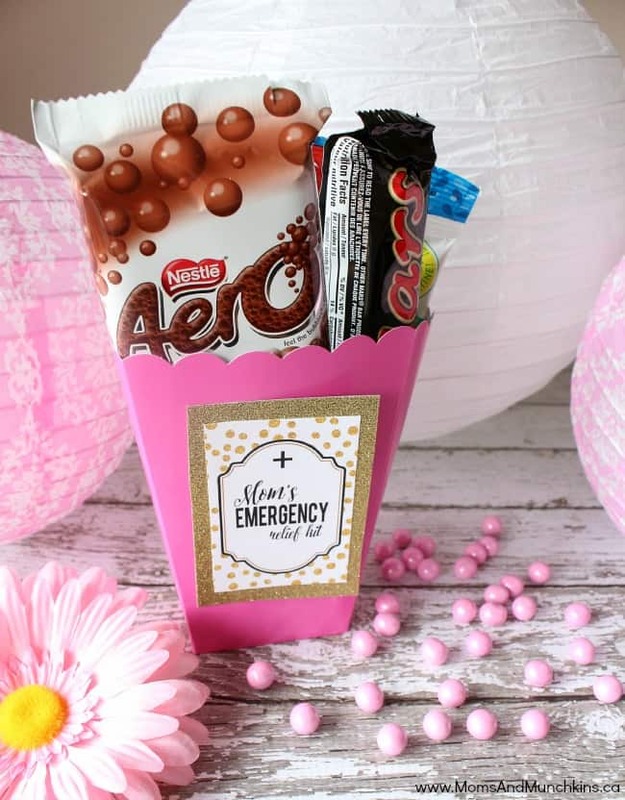 For some moms, their Mom’s Emergency Relief Kit may have scented candles, relaxing music and scented bubble bath but mine would be loaded with chocolate. I’ll skip the scents of lavender and head straight for the chocolate when I’m in need of some quiet time! The possibilities are endless! Just think about what your mom likes and create a special Mom’s Emergency Relief Kit just for her! It’s her special go-to kit when she needs some quiet alone time. This printable is available for FREE for our monthly newsletter subscribers! Signing up is free & easy. We have over 6000 subscribers that enjoy the special freebies each month like these fun Mother’s Day Coupons! Simply enter your email address, confirm your subscription, and you’ll be directed to a Thank You page with a link to the freebies page along with the secret password. This link and password will also be repeated in each of the monthly newsletters. For even more fun Mother’s Day ideas, visit our special page dedicated to Mom.